With veganism on the steady incline, there is no shortage of attractive snacking options. However, buyers beware as not all veggie snacks are created equal. As the market is saturated by tons of vegetable-based snacks it’s important to weed out which are the healthiest, affordable and yummy! We understand that you’re busy folk, so we’ve compiled a list of the tastiest vegan snacks to take to work, school or even on the go, which will leave you feeling great about your body and your choice. You don’t have to compromise health for savor, so it’s important to keep an eye on nutritional facts to see how much of your daily intake is in the food. If you don’t have the time to shop yourself, many vegan snack options are available for delivery through online stores and subscription services. We hope you enjoy these suggestions as much as we did. Whether you like savory or sweet, your snacking choices don’t have to be limited if you’re vegan. The tips we’ll provide will make sure you choose the very best options for your health and lifestyle. How much time do you have to prepare a vegan snack? Many vegan snacks like kale chips are quickly prepared in the oven, or are bought prepackaged. Just open that bag and enjoy! It requires no prep time at all; just throw in your bag and go! Whether you’re hiking a trail or heading to work, good carbohydrate rich rice cookies or veggie bars will keep your energy up while also providing a satisfying crunch. Other options take more time to prepare, especially raw vegan snacks that require time and processing by hand or machine. These products are best left to professionals, so you can save precious time for your busy schedule. Following a raw-food vegan diet, that is only eating fruits, vegetables, seeds and nuts cooked at temperatures below 120F isn’t only healthy but also convenient to boot. Most times you won’t even bother cooking and just start munching on healthy vegetable snacks straight off the market shelf. Some vegan snacks can be packed full of salt and sugar to boost flavor. It’s important to have a look at the nutritional label to make sure you are consuming your daily recommended intake of each nutrient or vitamin. For increased energy choose snacks high in iron and vitamin B12. Products containing ginseng boost your mid-day sluggish energy levels. Vegan snack options with almonds, cashews, and hazelnuts naturally increase energy and decrease fatigue. These snacks are best had in the morning to power you throughout the day. Don’t forget about your protein intake! Foods like tofu, tempeh, and seitan will keep you strong and fit in the long run by providing the right fuel for your muscles. You can’t enjoy biking and hiking if steep hills become an insurmountable obstacle. Nuts and nut butters are good sources of iron, magnesium, zinc, selenium and vitamin E. They make for extremely convenient bread spreads to eat during lunch breaks and provide for much-needed metals and vitamins to keep the blood and skin in good working order. Seeds are both a rich source of protein and omega-3 fatty acids. Flax seeds especially have been shown to have good anti-cancer properties, preventing the problem from emerging thanks to the good mix of antioxidants and omega-3 they provide. Plant milks and yogurts provide the calcium and B12 you’ll be missing by not partaking in animal dairy products. It’s recommended to always opt for any “fortified” varieties since they’ll better keep your bones and nervous system in good shape. Some vegan snacks double as meals, as they’re high in fiber and protein which will help keep you full for longer. These options are likewise endless. 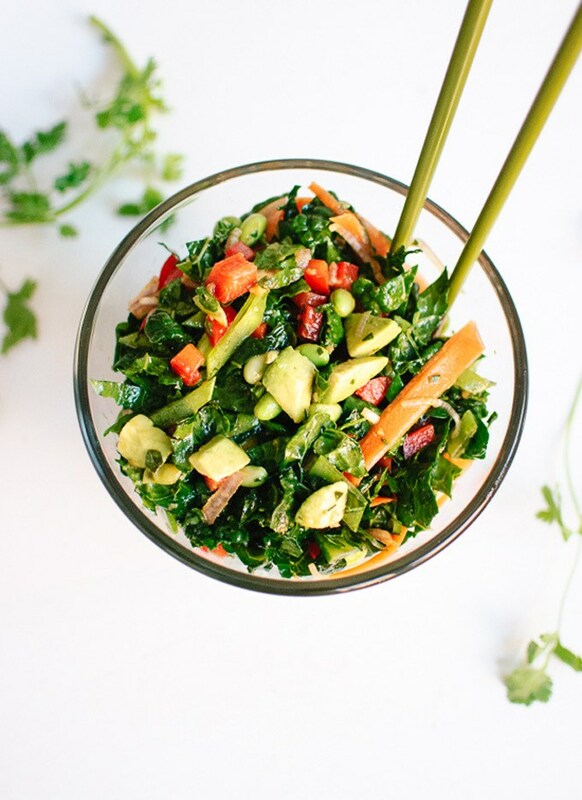 Supplement your lunch or dinner with these vegan options for a complete and balanced meal that will keep your tummy full and happy! Encourage kids to try healthy vegan snacks and make sure they don’t feel like they’re missing out on dessert by choosing dark chocolate or sugar-free sweets options. Often times, it’s perfect to end a meal with a sweet treat that is naturally sweetened with honey or agave nectar. 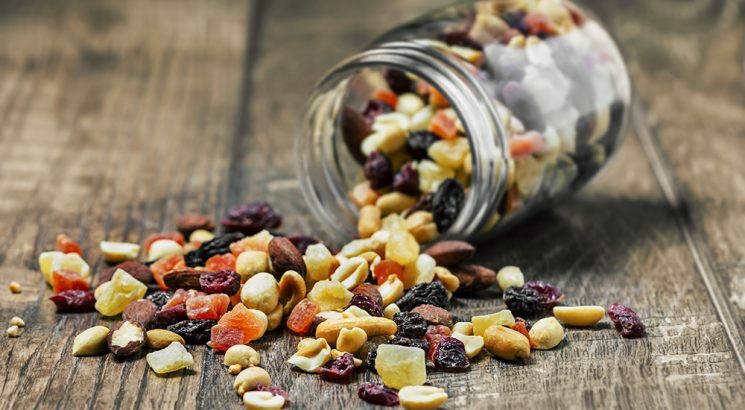 Trail mix is always a favorite for those who want to get the same satiation of a full meal in a portable form. Vegan varieties have been specifically thought out to provide you with the midday requirements of energy giving carbohydrates, proteins, nutrients, and acids. There’s no need to miss out on hamburgers, hot dogs, tacos and all the other convenient snacks that have become part and parcel of the American way of life since there are plenty of healthy vegan options for all. There’s no risk for obesity to creep in if all you’re munching on are soy meat substitutes and vegetables, all drained in a delicious spicy sauce. These are truly vegan gifts to the world that even people less committed to dieting can benefit from. This so-called issue is, to a certain extent, a matter of genes and one pertaining to the body’s natural capacity for absorbing nutrients out of food. This can decrease with age or previous toxic substance abuse since a former alcoholic’s liver shouldn’t be expected to still work at peak efficiency. Most healthy people don’t need to supplement a vegan diet if some basic planning is involved and the best vegan food reviews to be found online offer plenty of research material to delve in. There are however a few nutrients to be especially mindful of. Calcium and vitamin B12 are only found in sufficient quantities in animal products. Some seeds do contain it, but not in high enough levels to make for a convenient alternative. Vegan milk and yogurt, which always have them as an additive, are the only viable option for Vegans besides pill supplements. Protein, which is famously found in meats, might seem like a problem at first but soy products like tofu and also certain nuts can usually satisfy the daily requirements.